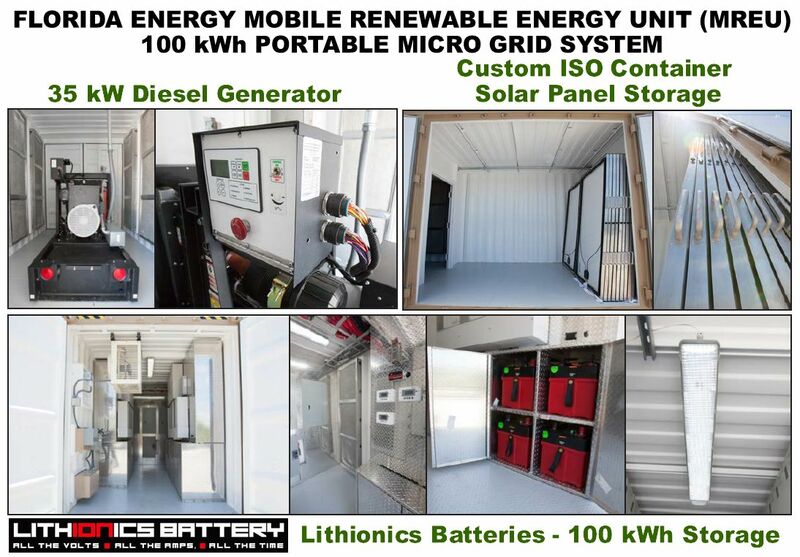 Alternate Renewable Energy, Off Grid Energy, Solar Power, 48 Volt Micro Grid Systems, Solar Panels, OutBack Inverter Coneverters & Solar Charge Controllers & Lithium Ion Batteries for Marine, RV, Canadian Oilfield & Pipeline projects, Recreational Property, Cabins & more. 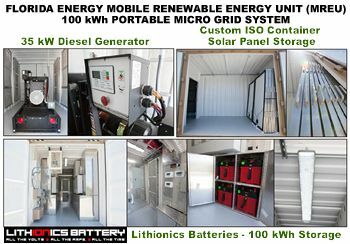 Lithionics Battery, getlithium.com and Pinnacle Innovations are 100% committed to winning your Alternate Energy/ Renewable Energy Project business! 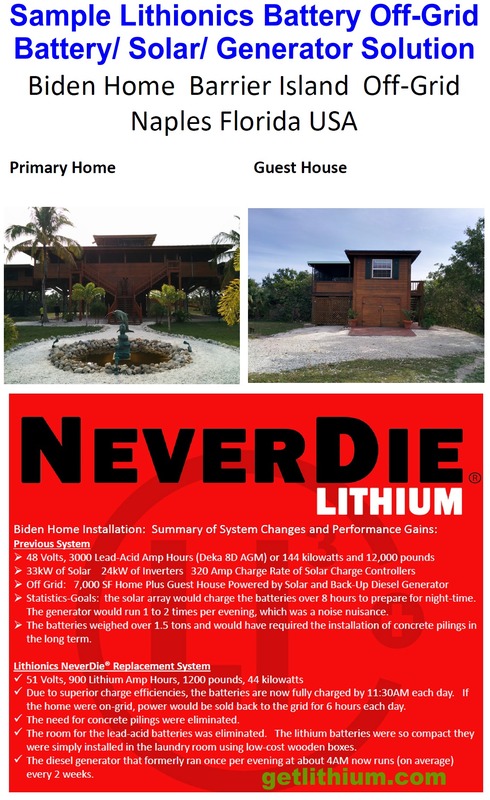 Working directly with the Lithionics Battery and their team of Electrical Engineers, we will show you that our lithium ion iron phosphate battery systems are the most competitively priced and by far the most efficient, reliable and field test proven batteries on the market. 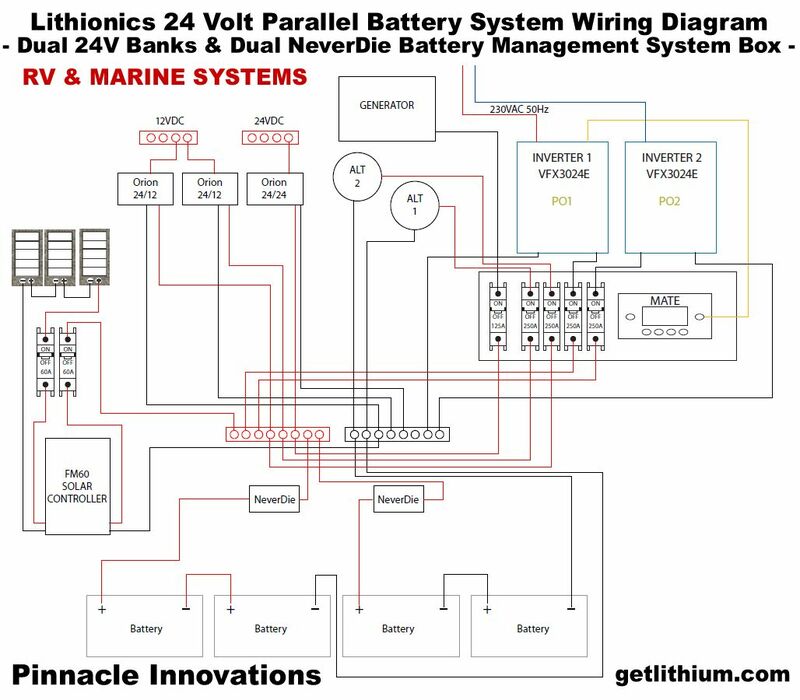 Lithionics invests in only high capacity lithium cells so we DO NOT USE POTENTIALLY DANGEROUS INTERNAL PARALLEL CONNECTIONS like many Competitors do. This assures you of the safety and performance of our lithium ion batteries and allows us to ship our batteries by Air Freight. 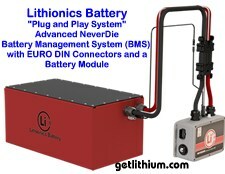 UL approvals on many battery and BMS systems. 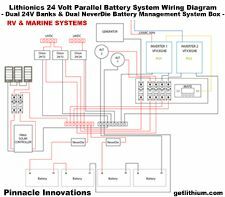 Let us share our knowledge and experience to ensure that you get the most reliable and efficient total system including inverter converter chargers, solar charge controllers, wiring harnesses, lithium ion batteries and backup power systems. Real Case Studies proving our systems work in the harshest environments. We offer electrical products including inverter-converters, electrical panels and more by OutBack Power, Magnum Energy, Solbian, HES, BlueSky Energy and Lithionics Battery for Holiday Cabins, Residential, Marine, RV, Commercial Applications, the Oil and Gas Industry and more! 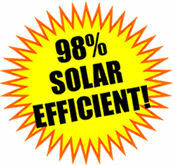 Let us help you harvest Solar Energy with a seamless, tested and easy to use complete solar energy harvesting system. Lithionics Battery has provided a 51 Volt off-grid lithium-ion battery system for this beautiful home with guest house. 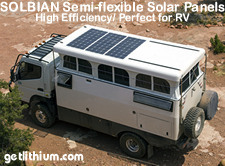 Included in the system is a powerful solar panel system and backup diesel generator. 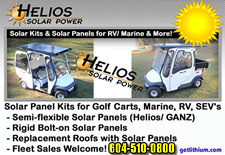 Call us at 778-340-0060 for all your lithium-ion battery, solar power and diesel generator needs. 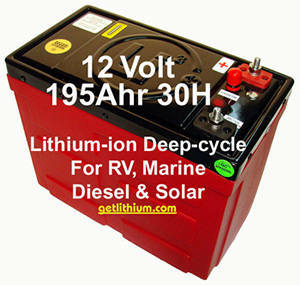 Lithionics Battery Lithium ion Batteries - typically our "Deep Cycle Lithium ion Batteries. 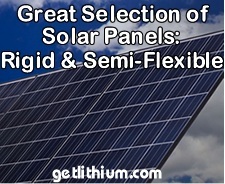 These are the perfect choice for storing your Solar Power. Our lithium ion batteries are 98% efficient at accepting Solar and Wind Power generated electricity. Compare that with only 36% efficiency at accepting Solar Power generated electricity for Lead-Acid and related batteries. 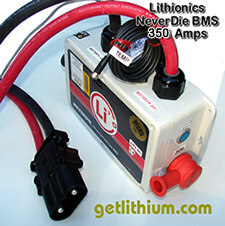 Select our Lithionics Battery Standard Series when space is not an issue for greater savings. 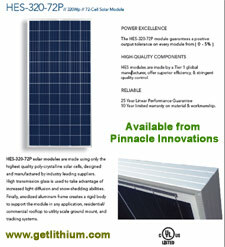 Select our Lithionics Battery GT Series when space is limited and you need a higher energy density. Click here to view the various Deep Cycle Lithium-ion Batteries we offer: 12 Volts, 24 Volts, 48 Volts and higher Voltages all the way up to 600 Volts. OutBack Power Flexmax, Victron BlueSolar/ SmartSolar and Blue Sky Energy MPPT solar charge controllers are the perfect match for lithium ion batteries. 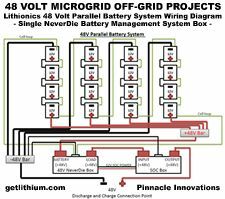 The solar charge controller links the solar panels to the deep cycle storage batteries and regulates the electricity to the batteries. 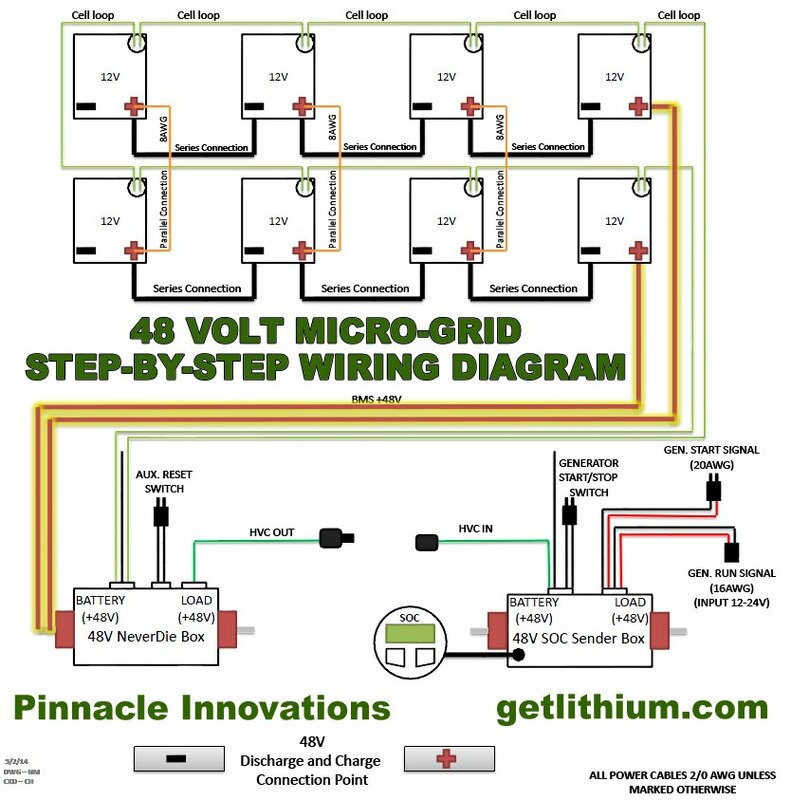 The inverter/ converter/ charger connects to the batteries and provides you electrical outlets at 120 Volts or 220 Volts to run your refrigerators, lights, motors and so on. 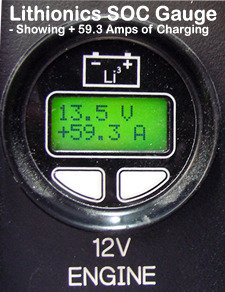 Some units also incorporate a lithium ion battery charger. It is important to choose a unit compatible with lithium ion batteries - such as OutBack Power, Xantrex and Victron Energy. 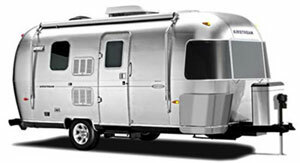 Be sure to ask us about the benefits of DC Alternator Charging! We can provide you with all the components needed to reap the huge benefits of DC Alternators. The main advantage is far faster charging which translates to huge increases in lithium battery charging efficiency. 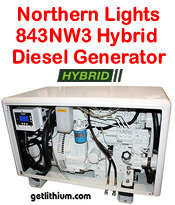 We offer diesel generators for land-based or marine electricity generating systems from the big 30 kilowatt Northern Lights M944W3 Hybrid Generator to a smaller Honda EU1000i Hybrid Generator (1kW). 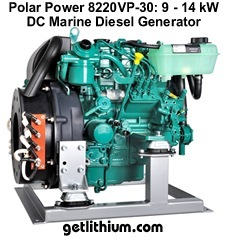 We now also offer the super efficient Polar Power DC generators for Marine/ Off-Grid and more..
Just as important as the correct lithium ion batteries for your Off-Grid Energy Project is the right BMS. Our Dual Channel BMS can isolate the charging and discharging variability in voltage from solar and wind energy generating stations, allowing either function to continue operating if voltage parameters are exceeded in either the charge or discharge functions. Battery State of Charge (SoC) & more. 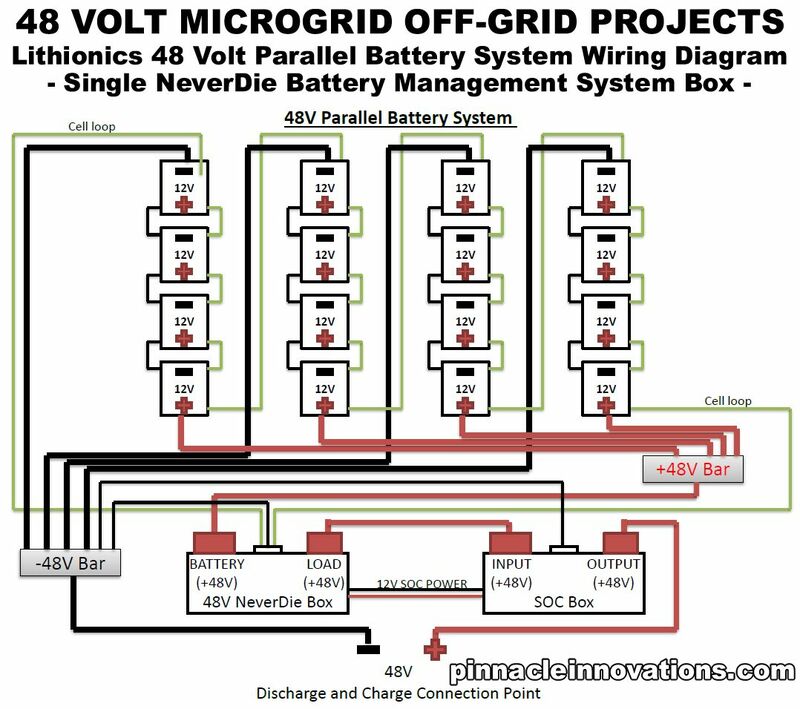 Click here to learn more about calibrated Lithionics Battery SoC kits. Note: should be ordered at time of ordering batteries. 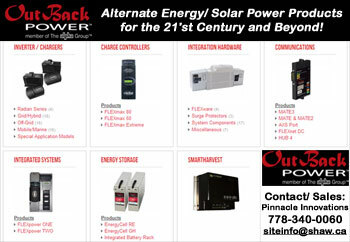 Click here for our OutBack Power products page or give us a call at 778-340-0060 or send us an email for more information and a quote on specific components, a prewired and tested system or a complete solar energy system complete with 98% efficient lithium ion batteries. Inverter/ Converter/ Charger: your choice of many of OutBack's inverter-converters and inverter-chargers including the popular VFX models. Control Module: Choose from OutBack's MATE, MATE2 and MATE3 control and display modules. These are needed to be able to program and define many settings such as charging voltages and other functions. Circuit Breakers and other necessary components. The new FLEXpower TWO FXR System accommodates all of the essential protective devices in an easy-to-install, fully pre-wired and factory tested dual inverter system. The FLEXpower TWO is ideal for applications with medium sized power requirements such as homes, light commercial or larger backup power systems. Utilizing a compact design and an easy-to-install mounting plate, the FLEXpower TWO System can be mounted in either a horizontal or vertical orientation to allow installation in more space-limited locations and is designed for quick installation, saving both time and money. 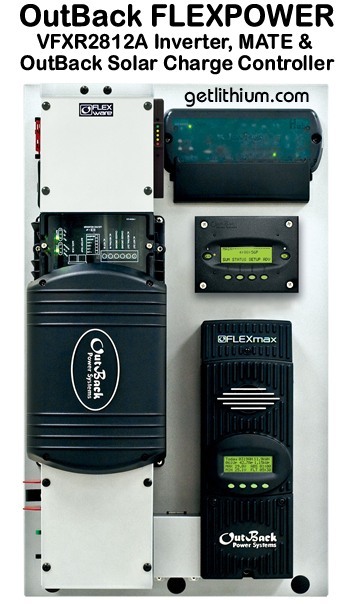 The FLEXpower TWO includes two inverter/chargers, AC and DC wiring boxes, a MATE3, HUB, Surge Protector, charge controllers and DC system monitoring, while maintaining a small system footprint. The FLEXpower TWO System is also equipped with battery and PV array breakers, an Input-Output-Bypass Assembly, mounting locations for AC GFCI Type B style outlets and additional AC breakers. FLEXpower TWO components carry all of the necessary ETL Certifications allowing for a code compliant installation that saves both time and money while still looking great. The OutBack Power FLEXpower TWO System is the only choice when you need a fully integrated, true sine wave, reliable power system. 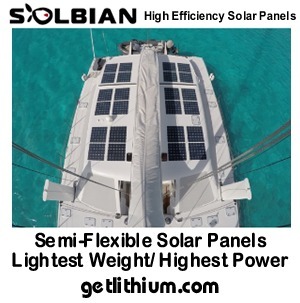 We are proud to offer Solar Panels by Go Power, SunPower and HES as well as Solbian semi-flexible solar panels that are perfect for Marine and RV applications. We also offer OutBack Power FLEXmax MPPT Solar PV Charge Controllers , Blue Sky Energy MPPT Solar Charge Controllers and Victron Energy MPPT Solar PV Charge Controllers. Deep Cycle & Engine Cranking. Only 57.2lbs! 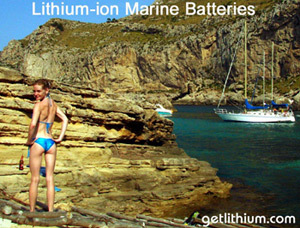 Be sure to check our "Overview of our Lithium ion Batteries" page. There you can find out about all the advantages of using our Lithium ion Batteries from Lithionics Battery, as well as determine what battery will replace your existing lead-acid battery. 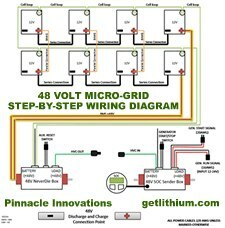 Lithium ion batteries for sale across Canada for British Columbia (BC), Alberta (AB), Saskatchewan (SK), Manitoba (MB), Ontario (ON), Quebec (QC), New Brunswick (NB), Nova Scotia (NS), Prince Edward Island (PEI), Newfoundland (NL), Yukon Territory (YT), Northwest Territory (NT), Nunavit (NU) and Iqaluit.